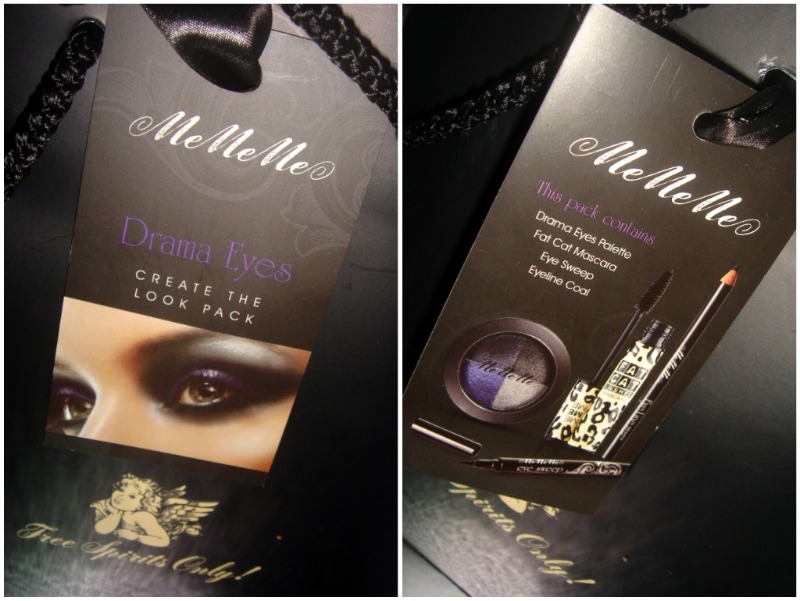 Sophsterlicious • UK Blog: » MeMeMe Create The Look Gift Set! Now, from my working out, buying those items separately would cost around the £25 mark, but you can buy the kit for just £15.. What a bargain, eh? It's lovely, isn't it? I can't wait to get stuck in and play with them all (reviews soon!).. Oh, and I also got a little card inside with a discount code, as you might have noticed. 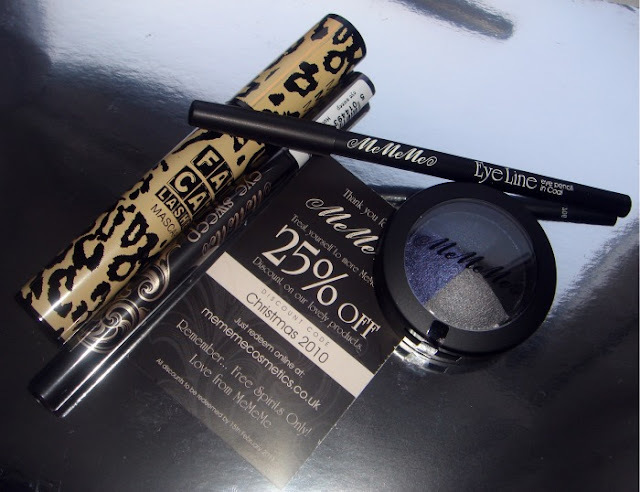 You can use the code 'Christmas 2010' online at http://mememecosmetics.co.uk to save 25% .. How good is that? The code is redeemable until 15 February too! I think lots of you will definitely take advantage of that. You can see the range of gift kits available here. So, if you have every fancied trying some MeMeMe, or you already love their products, now is the perfect time to shop! Interested to see how you lid the baked quad, I got a couple and the payoff isn't so good for me. I admittedly haven't tried them on my eye with a primer yet, I just swatched them! Ooh, that looks like a great set and a brilliant bargain. I've never tried any of MeMeMe's products, if only I had the space! I think gift should be useful that the couple may use it through out their life. Anyway,you have a very interesting blog so informative.